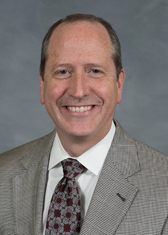 Meet Senator Dan Bishop of Mecklenburg County. He was a major sponsor of HB2, the law that got ex-Gov. Pat McCrory chased by a crowd of protesters in Washington on Saturday. They yelled "Shame!" and "anti-gay bigot" at him while he tried vainly to find someplace to hide. Senator Bishop wants that behavior criminalized ... the behavior of the protesters, not McCrory's behavior in signing a law he hadn't read and didn't understand (which, come to think of it, might also warrant criminalizing). Sen. Bishop has proposed a new law (the General Assembly meets tomorrow for the "long session") that would "make it a crime to threaten, intimidate, or retaliate against a present or former North Carolina official in the course of, or on account of, the performance of his or her duties." Bishop said that offenders of his proposed statute should serve a prison sentence up to five years. Gosh. Doesn't that just cry out for a major "Shame! Shame!" chant performed by a sizable group of people as Sen. Bishop walks past to take his seat in the General Assembly? Well the only problem with his bill is that even if it was enacted, the events that caused this bill to be filed occurred outside of North Carolina. The NC legislature cannot enact laws making certain acts illegal outside of North Carolina. I hope it passes, Cooper vetoes it and issues a strong rebuttal, and they try to override his veto. Buncha crybabies. McCrory is a snowflake...."Sticks and stones may break my bones but..."